DadCAMP founder Buzz Bishop is an experienced media professional. He’s a radio host at XL 103 in Calgary, and has been on the dial for more than 25 yrs. 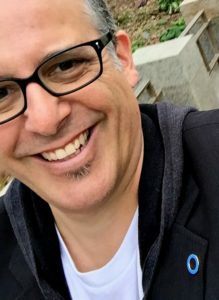 He has contributed a parenting column, also called DadCAMP, for the Calgary Herald and has written for print publications such as 24hrs, The Vancouver Sun, and Canadian Running Magazine. Digitally, he has contributed to Daily Hive, The Huffington Post, Babble.com, Yahoo!Shine, Yummy Mummy Club, The Good Men Project, and Man Of The House. This is in addition to running his own blogs at The Blog According to Buzz, cyberbuzz,and DadCAMP. Buzz has also appeared on City TV, Global Television, and YTV as a regular columnist. He is also a sought after expert for local news media when parenting or tech stories break. You can view the complete media kit here. DadCAMP content has also been discussed on Good Morning America, Perez Hilton’s Perezitos, ABC, Inquisitr, The Bert Show, CNN, HLN TV, Mashable, The Globe and Mail, Global News, Fox and Friends, CBC, MetroParent, MSN, Yahoo!, Maclean’s, Examiner, Slate, Jezebel, Inside Edition, The Australian Women’s Weekly, The Baltimore Sun, Hello Magazine, Fox News, The Huffington Post, CTV, CBS This Morning, Fox and Friends, Global Television, The Daily Mail, Radar Online, The Arizona Republic, Conan O’Brien, AOL, and more. 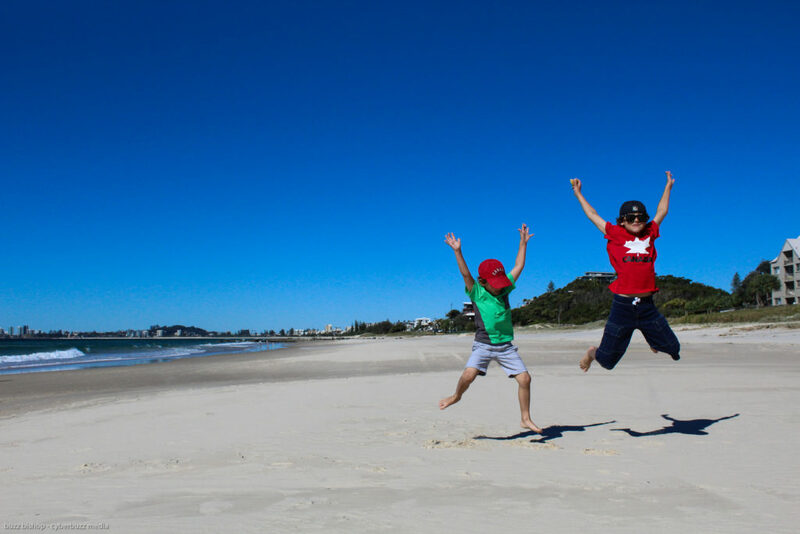 While the DadCAMP community efforts create bonds amongst Dads, the content on this Canadian daddy blog is always provocative and conversation starting. 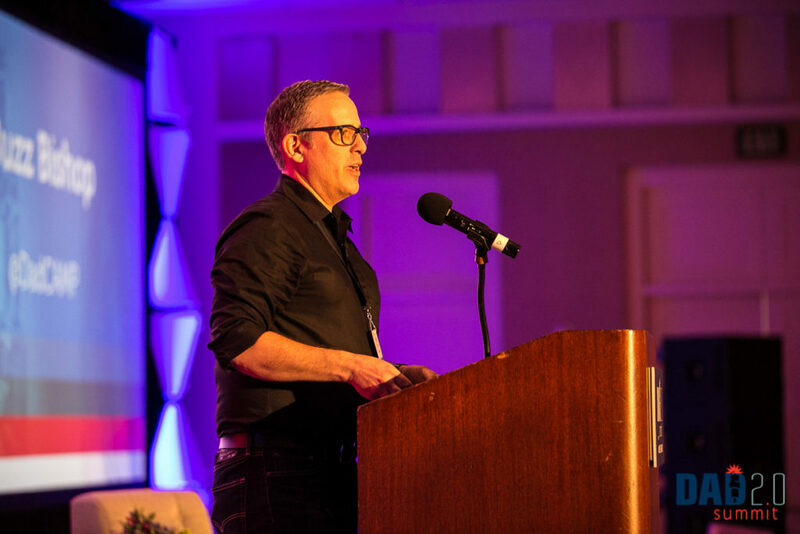 Buzz is a free-thinking writer who has no problem sharing his successes, failures, and sometimes controversial questions about parenting. DadCAMP’s honest and straightforward style has been a starting point for discussion on parenting issues by media around the world. Good Morning America, Perez Hilton’s Perezitos, ABC, Inquisitr, The Bert Show, CNN, HLN TV, Mashable, The Globe and Mail, Global News, Fox and Friends, CBC, MetroParent, Jezebel, MSN, Yahoo!, Maclean’s, Examiner, Slate, Inside Edition, The Australian Women’s Weekly, The Baltimore Sun, Hello Magazine, Fox News, The Huffington Post, CTV, CBS This Morning, Fox and Friends, Global Television, The Daily Mail, Radar Online, The Arizona Republic, Conan O’Brien, AOL, and more. Cision Navigator, a Public Relations, Communications, and Marketing resource for top media contacts, has picked DadCAMP as one of the most influential Dad Blog Brands in Canada. 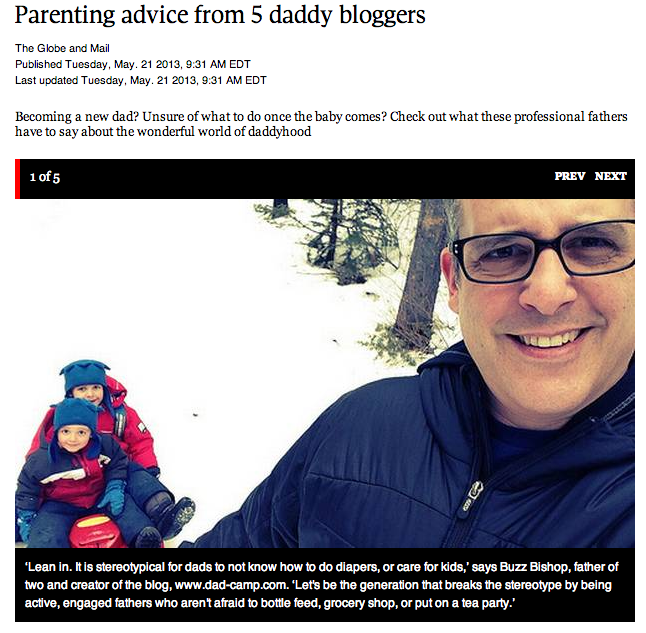 Cision has named @DadCAMP one of the 10 Canadian Dads worth following on Twitter.